In the process of relocating to our new home on Macleay Island, I came across some of our old aquaponics growing systems. This one is called the tray system. It was among the first growing systems that we ever used. Simplicity itself, the tray system comprised a plastic tray (about 600mm x 300mm x 120mm deep) and each unit offered about two square feet of growing area. Each tray was filled with growing mix (we used both coco coir or nursery potting mix. Watering was an uncomplicated affair. We simply poured nutrient-rich water into the tray until it began to run out of a 12mm drain hole in one end – about 20mm from the bottom of the tray. We stopped using it because it was too simple. As silly as that sounds, it’s the truth. 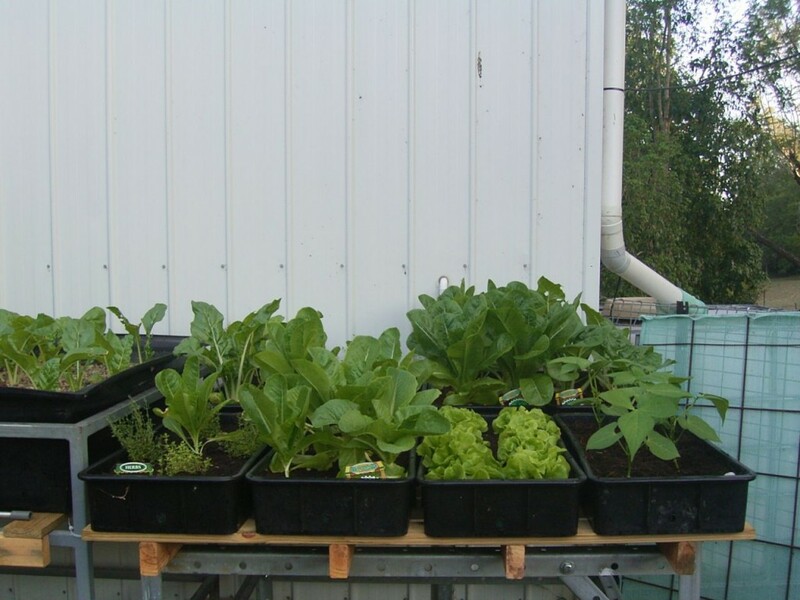 At that time (in 2006), we were in full discovery mode – experimenting with auto-syphons, filtration systems and the other trappings of aquaponics systems. We tried the tray system – growing a variety of crops that included tomatoes, beans, silver beet, Asian greens and herbs – and discovered that it worked as well as Romer claimed it would. Then we parked it all under the house and got into bigger and (but not always) better things. In recent years, we’ve seen the emergence of wicking beds, Earthboxes, the GreenSmart Pot – and a variety of other self-watering planters and pots. Suffice to say, a good idea has many fathers. Each new idea has been heralded as a breakthrough in gardening and quickly developed its own fan base. I’ve tried (and like) several of them. When it comes down to it, however, they are all just variations on the Tray System – used by hydroponicists for decades.